S’il y a un sujet qui est très négligé dans la littérature en gouvernance, c’est bien le rôle que doit jouer un conseil d’administration lors des opérations de fusions et acquisitions (F&A) ainsi que dans la mise en œuvre d’un CA efficace, résultant des deux entités. J’aurai l’occasion de revenir sur ce thème lorsque je publierai la version française de l’article intitulé Advice for Effective Board Mergers, édité par Johanne Bouchard et Ken Smith. Aujourd’hui, je partage avec vous un article d’Alexandra R. Lajoux, responsable du secteur de la gestion des connaissances à la National Association of Corporate Directors (NACD). Quel ont les tendances en matière de fusions et acquisitions dans le monde, particulièrement aux É.U. ? Quel est le rôle du conseil dans les activités de F&A ? Le CA doit-il être proactif dans les situations de F&A; quelles questions les administrateurs doivent-ils poser eu égard aux occasions et aux risques envisagés ? Quel sera l’impact des F&A sur la composition et la combinaison des membres de CA des deux entités ? Lorsque le CA est approché pour l’acquisition d’une autre entreprise (cible), quelles questions les administrateurs devraient-ils poser ? Si le CA est approché pour vendre la compagnie, ou certaines de ses composantes, quelles préoccupations les administrateurs devraient-ils avoir ? Cet article vous sensibilisera certainement à la problématique de gouvernance dans des situations de fusions et acquisitions, lesquelles sont de plus en plus importantes dans le monde des entreprises publiques ou privées. What is the current trend in M&A? Right now, M&A deal value is at its highest since the global financial crisis began, according to Dealogic. In the first half of 2015, deal value rose to $2.28 trillion—approaching the record-setting first half of 2007, when $2.59 trillion changed hands just before the onset of the financial crisis. Global healthcare deal value reached a record $346.7 billion in early 2015, which includes the highest-ever U.S. health M&A activity. And total global deal value for July 2015 alone was $549.7 billion worldwide, entering record books as the second highest monthly total for value since April 2007. The United States played an important part in this developing story: M&A deal value in the first half of 2015 exceeded the $1 trillion mark for announced U.S. targets, with a total of $1.2 trillion. What is the board’s role in M&A? This question can be answered in two words: readiness and oversight. At any given time, directors may need to consider either the sale of their own company or the purchase of another company. The key word here is may: nothing obliges a board to buy or sell if a transaction is not in the best interests of the company and its owners. After all, internal growth and independence usually remain options for a company under ordinary circumstances. Nonetheless, the board must still carefully weigh all opportunities to buy or sell as part of its routine corporate oversight. Director responsibilities will vary by industry and company, but in general, corporate directors have duties of care and loyalty under state law that also apply in the M&A context. Duty of care. The duty of care requires that directors be informed and exercise appropriate diligence and good faith as they make business decisions and otherwise fulfill their general oversight responsibilities. When reviewing plans to sell a company unit or to buy or merge with another company, the board must exercise proper oversight of management, especially with respect to issues of strategy and compliance with legal obligations such as mandatory disclosures. Pricing is another important consideration, and boards should be wary of claims of synergy. Academic studies offer mixed opinions on the track record for merger returns. Some find positive returns compared to non-acquiring peers (Petrova and Shafer, 2010), especially for frequent acquirers (Cass Business School and Intralinks, 2014). Other studies, for example a recent Fiduciary Group study citing McKinsey, claim a 70% failure rate. Duty of loyalty. The duty of loyalty requires that a director act in the best interests of the corporation, including in the M&A context. 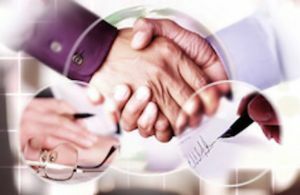 Boards can maintain independence from an M&A transaction by appointing a standing committee of the board composed entirely of independent, non-conflicted directors to review the terms of a particular deal with the help of an independent third party, who can render a fairness opinion. (The National Association of Corporate Directors submitted an amicus curiae letter on this issue in May 2015.) For a substantive legal discussion of the board’s role in M&A transactions, see this article by Holly J. Gregory of Sidley Austin, which appeared in Practical Law (May 2014). Should the board be proactive in M&A, and if so, what are the most important questions directors should ask management about the opportunities and risks that M&A entails? What potential opportunities and risks are involved in growing through acquisition? Does M&A activity align with our current strategy and in what ways? Looking at our portfolio of products and company units, are there any we might consider selling at this time? Why or why not? Do we know the current market value of our company and its various units (if these are separable)? What impact will a merger have on the boards of the combining companies, and how can boards weather the change? M&A typically leads to a change in board composition, with the board of the acquired company (often referred to as the target board) usually being absorbed into the acquiring board. According to a study by Kevin W. McLaughlin and Chinmoy Ghosh of the University of Connecticut, among the mergers of Fortune 500 companies, most directors on the acquiring board (83%) stay on, while only about one-third of directors from the target board (34% of the inside directors and 29% of the outside directors) continue to serve after the merger. The study also shows that for acquiring company boards, outside directors who sit on more than one other outside board have a higher chance of remaining members. For both acquirers and targets, outside directors with CEO experience are more likely to keep their seats. If the board is approached by management or a third party with a proposal to buy another company, what issues and questions should directors raise? The extent of the board’s involvement in a proposed transaction will vary depending on the size of the acquisition and the risks it may pose. If a very large company regularly buys smaller companies in its industry and has already developed a process for finding, acquiring, and integrating these firms, boards need not focus on the details of any particular transaction. They can and should, however, periodically review the entire merger process, from strategy to integration, in the context of strategic opportunities, attendant risks, and operational implications, to make sure that the process is sound and functional. The board’s primary role is to perform a reality check on management’s plans. A common claim in proposed mergers is that the whole will be greater than the sum of its parts—what Mark Sirower of Deloitte calls “the synergy trap” in his classic book of that name. But the challenges of integration can often result in a loss of value, an issue that is explored in noteworthy articles from McKinsey and Protiviti. Drawing on these articles as well as the thoughtful questions raised in the Report of the NACD Blue Ribbon Commission on Strategy Development, we have compiled a few queries the board may wish to put to managers and advisors. Strategic considerations: Why are we considering this deal? If there are synergies, what hard evidence indicates that they will materialize? Tactical considerations: What processes are now in place to create a pipeline of potential acquisitions, close deals, and execute the post-M&A integration? Risk: What is the company’s current risk profile, and how does it correspond to the company’s risk appetite? Capital and cost implications: Does our company have the cash on hand, projected cash flow, and/or available credit to commit to this transaction? Operations: What changes will need to be made to the current operating structure and logistics following the merger? Will the supply chain be affected? Talent: As we blend the human resources from the two companies, will we have the right talent to make this merger a success? Technology: Is the company’s technology infrastructure capable of supporting the planned merger? How will the acquired company’s technology be treated post-merger? Culture: Will the merger involve a blending of two different cultures? Do we foresee conflicts? If so, what are our plans for resolving them? Will there be a new post-merger culture? How can we ensure that all retained employees thrive in the new environment? Monitoring Progress: What are the dashboard components for this deal? What elements will management monitor and how frequently? What dashboard metrics will the board use to measure the transaction’s overall success? If the board is approached by management or a third party to sell the company or a company unit, what issues and questions should directors raise? While many constituencies will have a stake in any proposed company sale (including notably employees), shareholders’ main focus will be price. The two critical legal considerations in this regard are the Revlon doctrine (for public companies) and fraudulent conveyance (for asset-based transactions, usually relating to private companies). Fraudulent conveyance. All company directors, whether of public or private companies, have a duty to make sure that the company being sold is represented accurately to the buyer. Otherwise they can be sued for approving a “fraudulent conveyance,” especially in an asset sale. Fraudulent conveyance lawsuits became very common during the leveraged buyout era of the 1980s, when acquirers that overpaid for assets using borrowed funds failed to generate returns and tried to recoup losses. This longstanding legal concept, like the Revlon doctrine, is still in current use and was recently cited in relation to the LyondellBasell merger, according to the law firm of Kurtzman Carson Consultants LLC. Are we certain that the sale is our best option? Have we assessed alternatives? Under state law and/or our bylaws, do shareholders need to approve this sale? Have we received a valid fairness opinion on the price? Does this sale conform with the Revlon doctrine? If this is an asset sale, are we sure that the assets have been properly appraised? By asking the kinds of questions discussed in this brief commentary, boards can improve the chances that any M&A transaction, if pursued, will create optimal value for all participants.